Click here for a spiritual blog to tell you "What's New" on the site. Welcome. I have called this page Spiritual Blog UK as it occasionally shares time-sensitive information that relates to spiritual or religious programs on UK Television, or to spirituality events in the UK. Most of the information is not UK specific. I (Katherine Owen, author of www.a-spiritual-journey-of-healing) live in Swindon, England, UK. Much of www.a-spiritual-journey-of-healing.com shares articles on spirituality, so please take a look around to see what speaks to you. SPIRITUALITY FORUM - SHARE or comment on any Spirituality Articles on this website. Do you know a couple in trouble with children or without. Or perhaps you are currently in trouble in your own relationship. Say a prayer for God to guide you to peace. Move to read a full list of prayers on this spirituality website. Why do those on the spiritual journey speak of surrender to God as a positive, even essential step. What do we lose when we surrender, and what do we gain? One common spiritual belief is that we are spiritual beings, rather than physical beings. Read more about this belief and how it can bring purpose to our life. There is a spiritual loneliness that comes from the unnatural belief that we have separated from God. The spiritual journey is one to claim our Oneness, to shift the emphasis from looking to another person to fulfil our need for love and company and look to God first. Click though above for the main article, or here to read quotes about loneliness to validate and comfort you. Illness may initially seem to reduce your chances of finding either. However, going deeper with spirituality in a time of illness can lead you to these, as well as to overcome fear and find self love. Illness may tear your world apart, but a new world is waiting for you. On a journey of self growth we may follow practices from psychology religion and spirituality or any combination of the three. In the places where they differ, we may experience self conflict and confusion. In this article I clarify a few of the differences so that in any instance you can more easily identify your favoured approach. For the purpose of this site I give my own definitions of spirituality and religion. You are of course entitled to define them differently! Author Mal Duane shares her experience of using spirituality to overcome alcohol addiction through the 12 steps program of Alcohollics anonymous. Spiritual quotes - You can shift from pausing to notice a inspiring quote to using quotes as part of your spiritual practice. I consider the whole website to be interfaith. 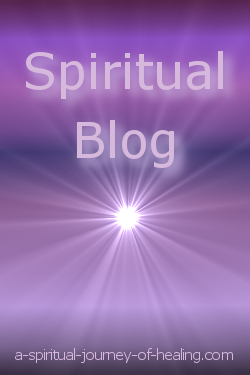 These blogs are applicable to anyone on the spiritual journey. They use symbolism or stories from the Bible. A lovely Spiritual Gift for a friend or partner. 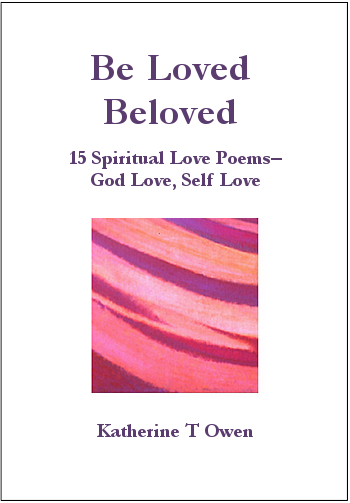 My book Be Loved, Beloved is published. Journey with me and know yourself as loved by the Beloved. Available in kindle (which can be read on the PC) and in paperback. How does the Christmas story of Mary, Joseph and the birth of Jesus (the Nativity story) provides spiritual guidance for our journey? It took a while! 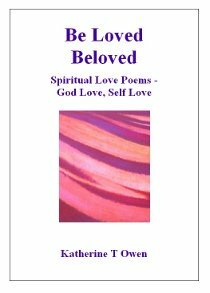 but I have put together a list of spiritual poems by topic - just some of the wonderful spiritual poems submitted by visitors to the site. I love how these poems speak of your spiritual journeys, your love of God, your doubt and faith. Thank you so much. I am very much a believer in unity consciousness - we are one whatever our spiritual or religious path. Here I include bible verses that say the same. The Peace Council – A Beautiful Picture of INTERFAITH HARMONY from a team who celebrate our Oneness. ...in our essence, as one with God, we are innocent. What is the definition of non duality? Combining non duality and Chrisitianity. Exposing ourselves to positive news about the world and about ourselves can shift our frame of mind. But what is the really good news for those of us on the spiritual journey? Spirituality in Relationships - what are the benefits of asking God to guide us in our relationships with those we meet? Seeking Inner Peace through forgiveness exercises. This spiritual blog looks out how I became convinced that I was contributing to world peace even though I was trapped in an ill body in a bedroom. Just in time for Easter we have this amazing poem about Jesus which is loyal to St Matthew's Gospel in the Bible. An astounding piece of work suitable for children of all ages! It has taken me time to read through and prepare it for the site so in this Holy Week my head is now full of Jesus in rhythm and rhyme! If you find reading the Bible hard going this is a perfect way to learn the story of Jesus cruxifixion. My message to you this Easter time. The Bible verses on the Easter story and the example of Jesus encourage us to hold to love in a difficult times. To have faith in our innocence/our righteousness and to hold the same for others. A personal interpretation of the crucifixion story based on my experience of illness. Some poems use Christian symbols and language to convey Christian Spirituality. I have now given these their own page on the site. Am I a Christian? - God's reply to me :-) when I asked this question! Article about the beauty of a modern day christian martyr and a prayer for someone who has died. Inspirational catholics in action. Includes quotes from ordinary people after spending time in silent retreat. Spirituality ezine - I AM CURRENTLY SENDING OUT NEWSLETTERS ONLY VERY RARELY, BUT YOU ARE WELCOME TO SIGN UP FOR THE FREE EBOOK. A few mini spiritual blogs pondering on the connections between SCIENCE and spirituality. What quantum physics says about on the nature of thoughts and reality. This is your chance to share your thoughts, your challenges, and your wisdom. Thank you. Entering your story is easy to do. Just type!... After I approve your entry, it will appear on a Web page just the way you enter it here. I may edit your writing: I may correct spelling and grammar errors and may make minor changes to wording or paragraph order for clarity. Move from Spiritual Blog to the home page - Practical Spirituality and Healing.